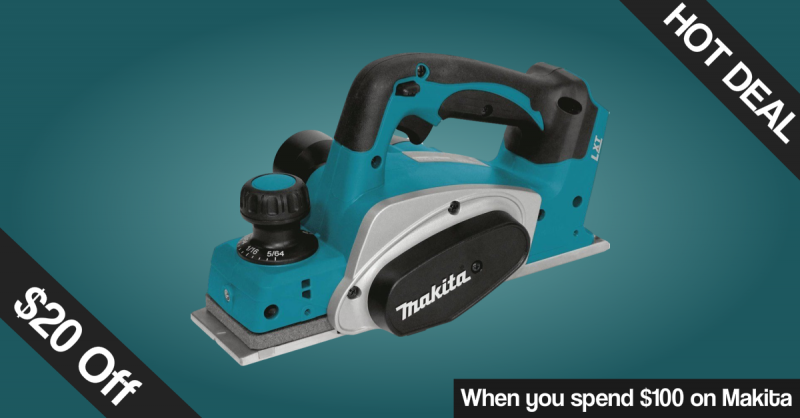 $20 off $100 Makita orders for Father's Day. From May 17, 2017 through June 18, 2017, get $20 off select $100 Makita Tool orders from ACME Tools. Use promo code 20-MAKITA. Also, note that ACME Tools has other deals on select Makita products and kits, and you might be able to combine these special offers to get an even better deal.